Babysitting. Babysitting..... Ganondorf does it best. 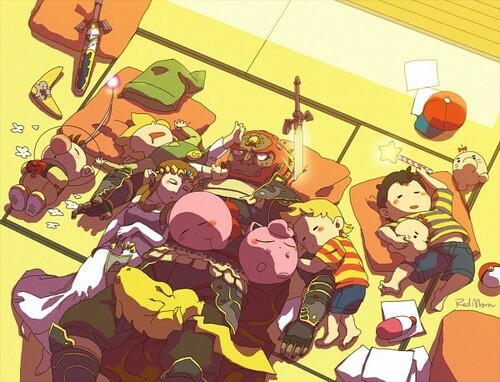 Wallpaper and background images in the Super Smash Bros. Brawl club tagged: ganondorf zelda toon link ness lucas jigglypuff pikachu kirby olimar. This Super Smash Bros. Brawl photo contains anime, comic kitabu, manga, cartoon, and mkono.